Here at Commercial Lighting we are avid supporters of apprenticeships, having established an ongoing partnership with the local apprenticeship charity PETA, and provided in-work experience to dozens of young people over the years. We believe in-work placements are vital for equiping the next generation with the practical skills, knowledge and experience essential for British manufacturing. With Apprenticeship Week neatly coinciding with the our most recent apprentice, Tom McGinn, completing his Mechanical Engineering Apprenticeship, we thought it the perfect opportunity to have a chat with Tom about his time with us and apprenticeships in general. Firstly, well done for completing your four year Advanced Mechanical Engineering Apprenticeship! How does it feel? TM: I feel chuffed to bits, I really do. Having been doing the course for over four years it is a relief to finally get it finished and have the apprenticeship behind me. What made you choose an Apprenticeship over further education, and looking back are you happy you made that decision? TM: I chose an apprenticeship because I saw it as two birds with one stone – getting paid whilst learning a trade. To be a skilled worker now, having the qualifications behind me that the apprenticeship offered without having to pay any fees, was vital to me choosing the apprenticeship route. Over the years, we’ve seen more and more young people opting for academic courses over apprenticeships and vocational qualifications. Do you think there is pressure to aim for university regardless of whether it is right for you? Do you feel attitudes are starting to change, and that in-work practical experience is becoming better valued? Would you recommend doing an apprenticeship yourself? TM: I would 100% recommend an apprenticeship to anybody. Not only are you paid to learn, they provide job security for the time you’re learning as both parties get something out of it. You as an individual learn new skills and get qualifications, and the company get a skilled worker to improve their own production. I do feel public opinion is changing because a lot of people are put off by tuition fees, especially as there is no guarantee of work placement once qualified. 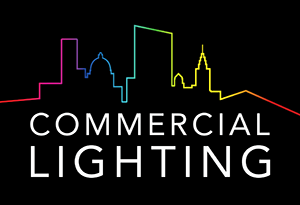 We loved having your energy, hard work and enthusiasm here at Commercial Lighting, and are excited you have now joined us as a full employee! What do you enjoy most about your work here? TM: I think what I enjoy most about working at Commercial Lighting is not being made to feel like an apprentice. I have been able to learn a lot about the different departments here, and also have a hand in various job roles within the company. I have also been given a lot more responsibilities within the company than I expected at the start, which has required a level of trust that I really didn’t expect to receive as an apprentice. What are your ambitions beyond your apprenticeship? TM: My ambitions have always been to manage the metal shop, but having done that for periods when members of staff have been absent I’ve decided to aim higher, maybe a role as a Director!